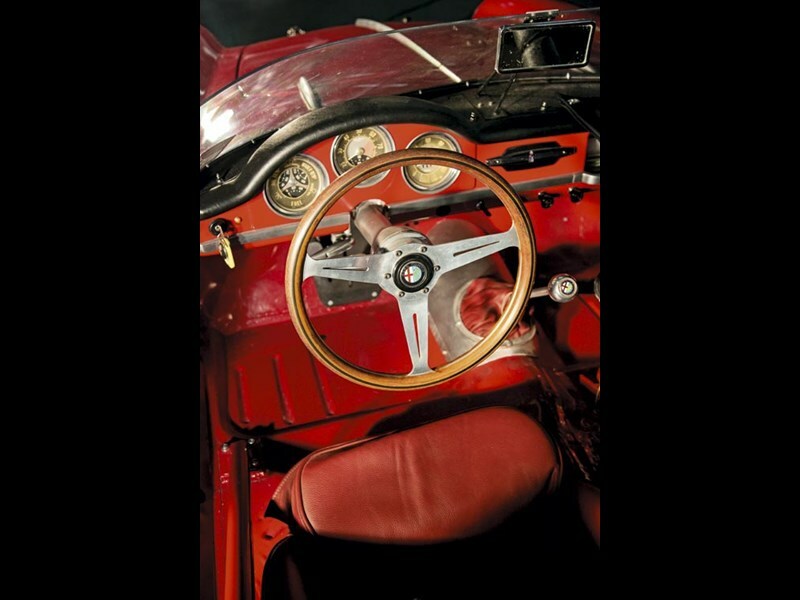 This 1958 Alfa Giulietta Spider is owned by Paul Chaleyer who runs it as a Production Sports Car in historic racing. 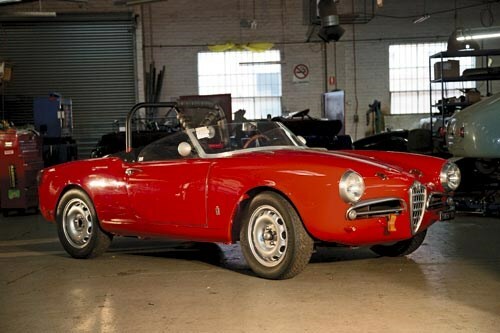 Alfa made Giulietta coupes and Spiders and I love the coupe. The trouble is they only built these in left-hand drive, and I’m not a big fan of LHD road cars. I owned one – once. It’s difficult to believe this Spider is from the 1950s. Rather than being some museum piece, it looks good today, right next to modern cars. Keep in mind this is from an era when a Ford Zephyr was new! 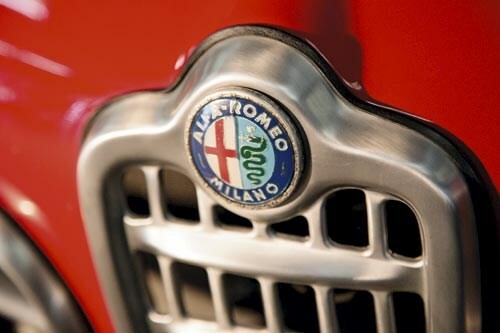 Of course, being an Alfa, it’s Italian and styled by Pininfarina. The styling is timeless but these photos are spoiled a little by the big CAMS-spec roll bar that’s there for racing and would have taken too long to remove just for my drive. Even so, few other nations seem to be able to carry through such glorious character into their cars – from Fiats to Ferraris – as the Italians! But yes, I know there are compromises in Italian cars, too. We’ve all heard the jokes! I’ve actually owned a few Alfas – 105 GTVs, a later-model GTV, a 75 and one or two others – so I have a slight tendency toward Alfas. But I also know they can be troublesome if they’re not looked after properly. 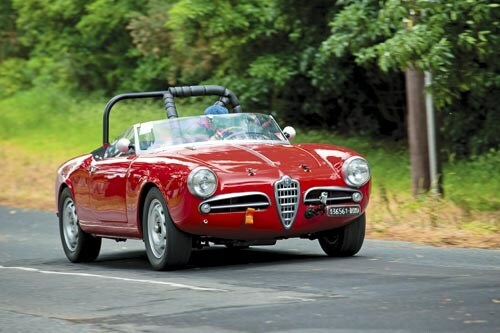 In this way, Alfas suffer just like many other cars. Of course, they inevitably depreciate and by the time the seventh owner gets hold of one, he’s the bloke with no money and can’t afford to give it the attention it deserves when it needs it. 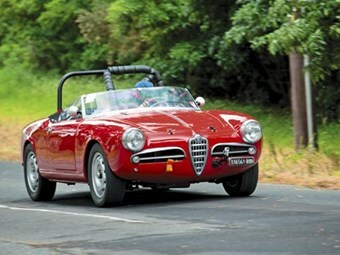 And Alfas do need more attention that some other classic cars! 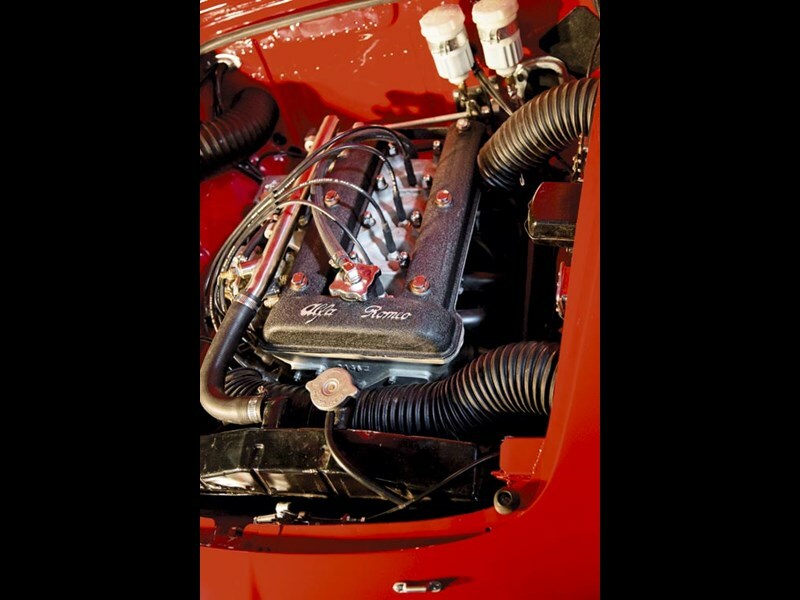 This car is powered by a 1290cc, twin-cam, four-cylinder with sidedraft Webers. It’s a good-looking engine, and when you lift the bonnet and take a look it seems to match the remainder of the car. It doesn’t look as old as it really is. The Giulietta was quite advanced styling-wise. And for all their faults, the Italians were pretty good at designing the mechanicals of performance cars. It has a four-speed gearbox, which is also pretty good for the mid-’50s. 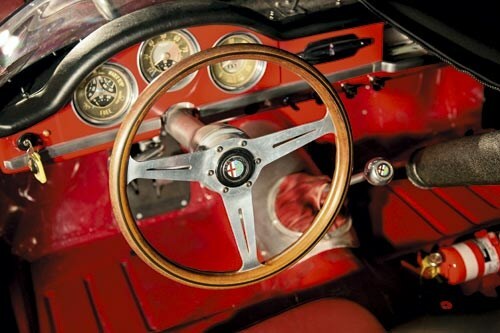 Later Alfas, of course, had five-speed ’boxes. It has beautiful, big, finned drum brakes and when you drive it, you can’t tell they’re drums. 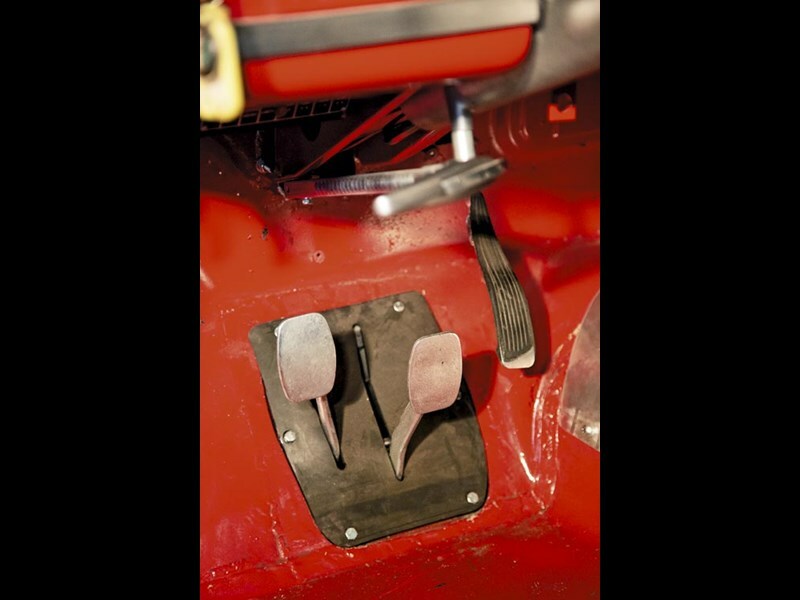 They have nice feel, it has a nice pedal, and they don’t pull one way or the other. Bugger-all cars in the 1950s had disc brakes and it was really only later in the decade that Jaguar got them thanks to manufacturer Dunlop’s development of them and the Le Mans program. 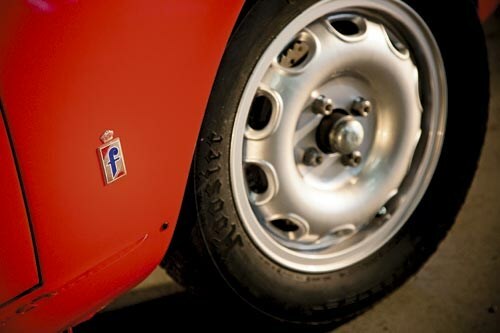 These days, there are all sorts of big Brembo six-piston calipers on high-performance cars that fill the wheels but back then, it was drums and they really look terrific – they completely fill the wheels. It’s really quite striking. This Giulietta has aftermarket aluminium wheels with little Hoosier tyres. Back in the day, racing Alfas wore Campagnolo wheels and crossplies so it would have handled like a dog on a lino floor compared to what this car is set-up with! As I mentioned, this is a race car (with street registration) and is set-up very well. When I drove it, I could immediately understand why people want to race these things – it’s such a nimble, light and responsive car. I saw a few when I was in the US recently, so they’re well-regarded internationally, too. Cosmetically, it has a small windscreen, the gearshift has a big leather boot on it, and it has a great driving position, where you sit quite low and depress floor-pivot pedals. The seats are great – nice little buckets. Performance-wise, it goes like a 1600. I said to Paul, "Are you sure this is a 1300? ", as it really gets up and boogies. I haven’t driven a Healy for a while but this thing runs rings around an MG of the time! Overall, it has an almost modern feel to it and shows very few of the traits that make many ’50s cars feel so boring, heavy and dull. It’s a really terrific drive with nice supple suspension, beautiful steering, and a terrific gearshift that’s like a knife through butter. And when you drive it, it produces that lovely gargle from up the front that only Webers seem to be able to make. With tidy handling and glorious acoustics, it’s very encouraging and makes you want to drive it quicker! The 1950s was a pretty austere time unless you were wealthy and this car would have been incredibly exotic compared to the other cars of the period. These days, you can’t help but use words such as ‘beautiful, lovely’ and ‘sweet’ to describe what it’s like to drive. 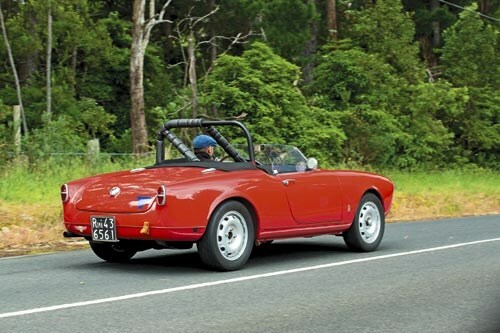 By the time the late-’70s rolled around, cars like this – Triumphs, MGs and Lotuses – were dwindling in popularity due to tightening safety legislation and the price of petrol. Paul Chaleyer runs Historic & Vintage Restorations in Melbourne’s east. No prizes for guessing what he’s up to his elbows in each week, and this Alfa is his weekend fun machine. "It was sold new in New York in 1958," Paul explains. "It eventually came to Australia and someone decided to try and convert it… We got it as a pile of bits about five years ago." The car was rotisserie-restored over three years and then modified. "I decided to make a copy of the little race car of the period," Paul explains of the car in which he competes against other 1300cc cars such as Bug-Eye Sprites. 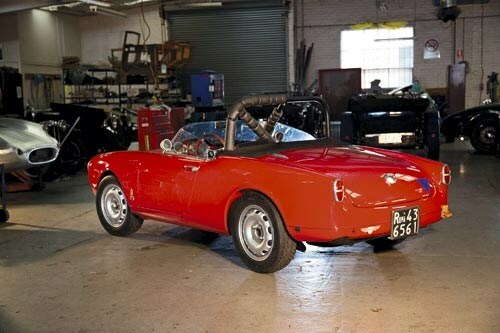 "For instance, the lowered windscreen is like what was fitted to cars in events like Mille Miglia and Targa. 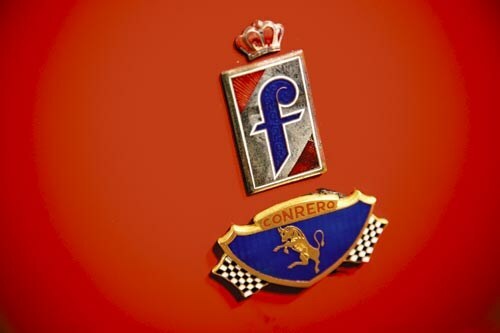 We brought the engine up to ‘Veloce’ tune – that was originally done by a company called Conrero, which subsequently became Auto Delta. It’s a bit like HSV."